This Holiday Season Dress her Skin in Gold and Diamonds! 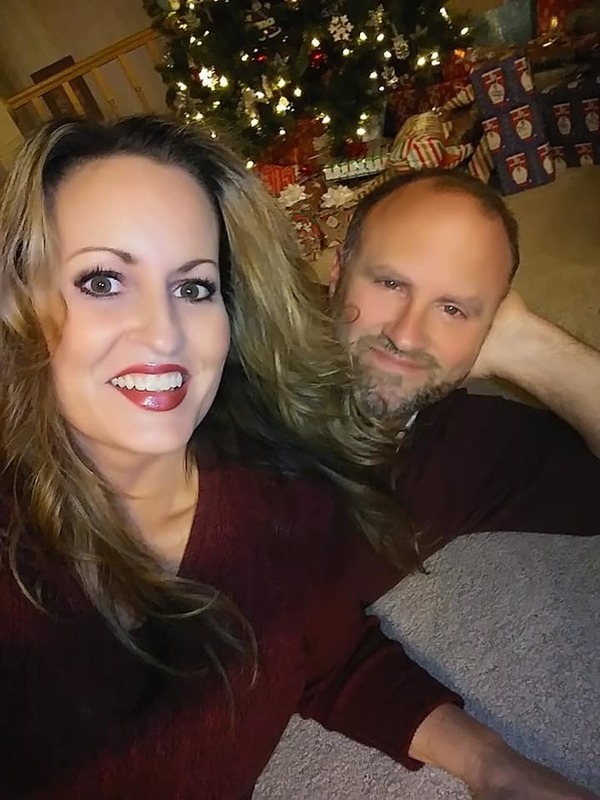 Holiday Gift Guides (like mine) offer great suggestions for what to get that special someone, but what do you give the woman who already has everything? 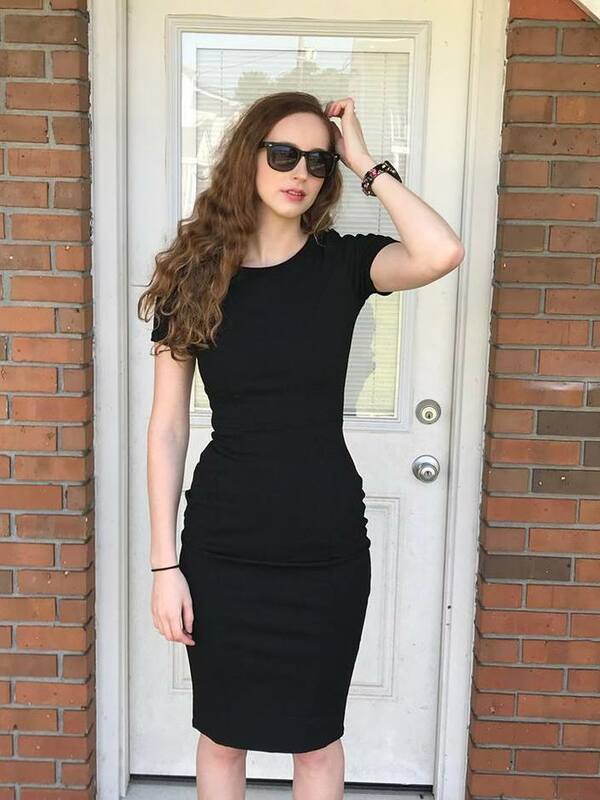 She may have beautiful jewels, a designer wardrobe and a luxury car, but one thing she may not have is gold, diamonds and pearls…for her skin. This Holiday Season, take a break from the traditional gifts and dress her skin with the most precious ingredients the world has to offer. 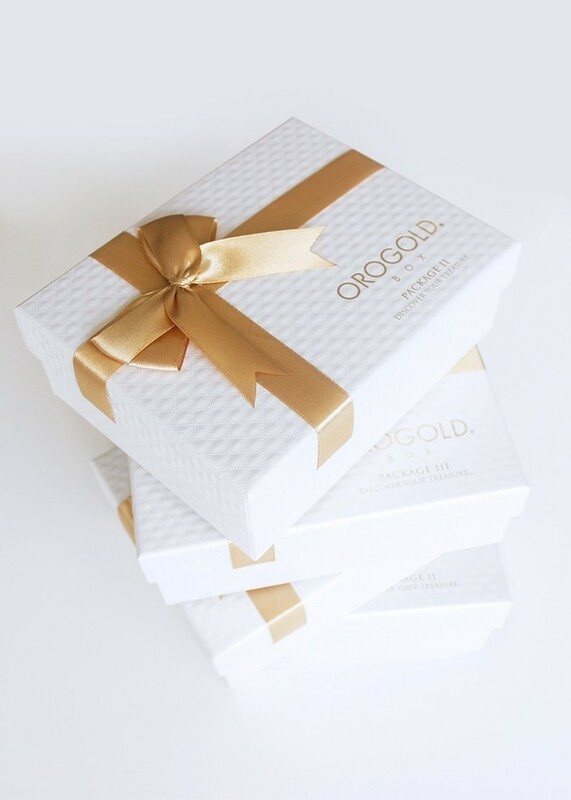 Indulgent skincare brand OROGOLD launched three ultra-luxe holiday gift sets, featuring the brand’s best-selling products formulated with 24K Gold. She may think she already has it all, but let her know that the surprises will keep coming with skincare that is fit for a queen. 24K Foaming Cleanser –Refresh your skin with this unique cleansing formula. For all skin types, this foaming cleanser will remove excessive oils and impurities to enhance the natural glow of the skin. 24K Salt Soufflé – The Salt Soufflé exfoliates and refreshes skin, leaving the body with an extraordinarily soft sensation. It’s infused with rich ingredients to give your skin a glow and a silky soft finish. 24K Deep Day Moisturizer Cream – The delicate, yet effective 24K Deep Day Moisturizer Cream is infused with rich ingredients including gold and sunflower oil to reduce the appearance of wrinkles and expression lines. 24K Milk Cleanser - Specially designed for delicate and sensitive skin, the 24K Milk Cleanser is formulated to remove impurities without irritation. This cleanser is enriched with Vitamin C & E for antioxidants, and jojoba and musk oils to leave skin feeling soft and smooth. 24K Deep Peeling - 24K Deep Peeling mask is infused with the finest ingredients to provide a powerful, yet gentle facial cleanse. This unique peel is specially formulated to help reduce the appearance of wrinkles and fine lines and leave skin feeling refreshed, vibrant, and luminous. 24K Body Cream – This non-greasy moisturizer, packed with essential vitamins and oils, melts on skin contact leaving the skin feeling soft, smooth and delicately scented. 24K Purifying Facial Toner - Enriched with witch hazel and chamomile, both known for their soothing, calming and hydrating properties, the 24K Purifying Facial Toner wipes away any traces of dirt from the skin in preparation for hydration. 24K Deep Renewal Night Cream – Formulated with vitamin E, gold, and sunflower seed oil, this light-weight formula helps nourish skin while you rest so you can wake up to a softer, more radiant complexion. 24K Golden Body Butter - This magnificent blend of 24 karat gold and shea butter helps reduce signs of aging while adding deep moisture and protection to the skin. 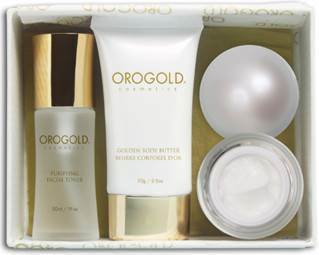 I am a huge fan of Orogold skin care. 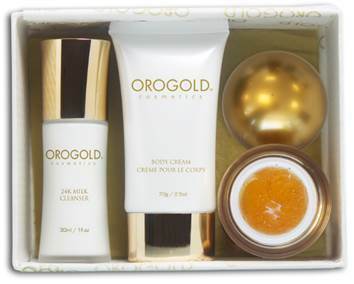 I received the OROGOLD Box Package I to review. 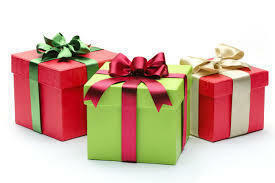 I love how the products are elegantly packaged in a lovely gift box. You really don't need to wrap it! The daily moisturizer is rich and hydrating with a light floral fragrance, but is not heavy. I love how it contains sunflower oil and 24k gold to fill in my lines and makes them look beautifully plumped out. The foaming cleanser comes in a pretty glass bottle with a pump dispenser. It smells wonderful and deeply cleanses my skin with vitamin C and 24k gold. It even removes my eye makeup without irritating my eyes. My skin was left feeling very soft and clean. The 24K Salt Soufflé scrub can be used all over your body to exfoliate and cleanse your skin, leaving it luxuriously soft and smooth.